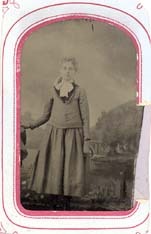 These are old, rare photographic images from the album of William Jacob Long, son of George and Elizabeth (Minerd) Long of Normalville, Fayette County, PA. None of the identities is known, although we have a few (not many) clues. 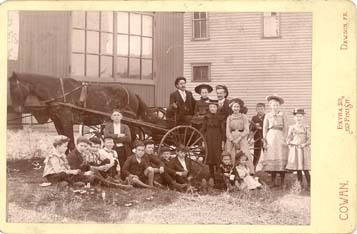 Scroll down to see these wonderful images of family and friends -- were they of the Minerd or Long families, or of William's wife's family, the McCoys. We may never know, but hopefully by posting them here, for all to study, more identifications may be made. 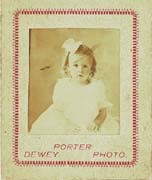 Above left and center: front and back of a "Dewey Photo" made at Porter Art Studio in Connellsville. 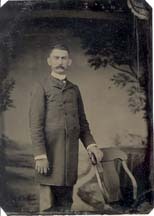 right: image labeled "Elite Photo"
Tintypes - all made by Emri Mapel. 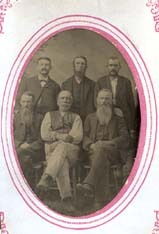 Handwriting on the back of the image at far left states: "Taken September the 10th 1884." Tintypes - all made by Emri Mapel. 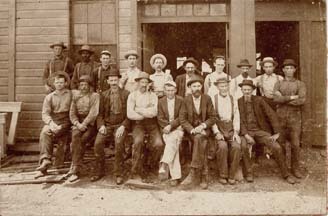 Handwriting on the back of the image at far left states: "Taken September the 12th 1884. Aged 68." 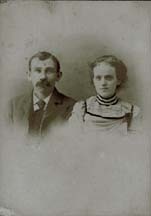 The woman at right is Elizabeth (Minerd) Long Gallentine. Tintypes - studio unknown. The image at far right is backed with pink paper. Left: studio unknown. 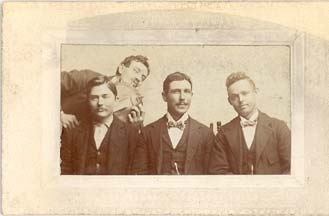 Center: taken at City Photo Studio in the commercial block of Uniontown, PA. Right: taken at J.W. 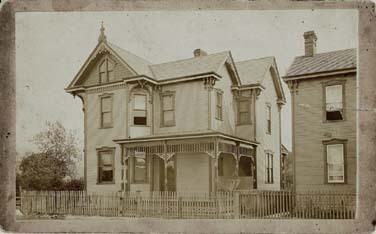 Ward Studio at 725 Pittsburgh Street, Connellsville, PA. The back of this image is orange paper with the word "Long" handwritten in pencil. 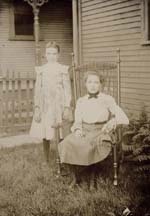 Is William Jacob Long in this photograph? The location of this house is unknown. 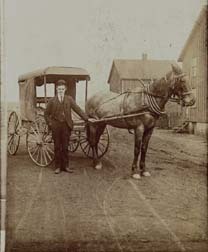 Who is the man with the horse and buggy, and where are they? 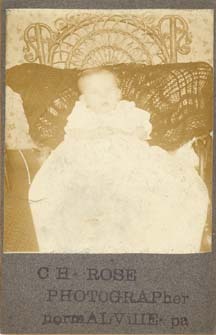 One of many unidentified baby photographs in the album. This one is especially important because of the rare imprint of "C.H. 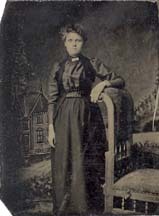 Rose, Normalville, PA," who was William Jacob Long's second cousin, Charles H. Rose.